Our College Park Pest Control exterminators are dedicated to providing professional services for homeowners throughout College Park, GA and surrounding areas. A home should be a safe haven and we have the certified highly trained experts to handle any pest issue. 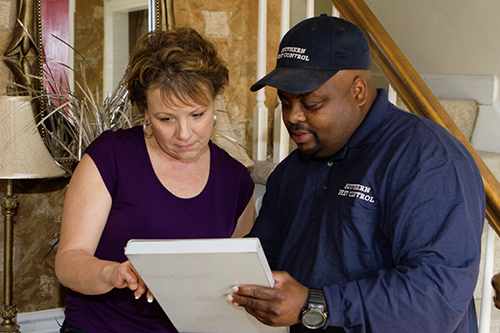 If you suspect an infestation Sovereign’s College Park Pest Control specialists will provide a custom treatment plan that will fit your needs, safeguard your property and allow you peace of mind. Our College Park Pest Control technicians strive to deliver prompt, for your convenience, Exact Time appointments, and lasting treatment results for every home we protect. In addition to serving the College Park area, we are happy to extend our services to the residents of Cherokee, Clayton, Cobb, Dekalb, Douglas, Fayette, Forsyth, Fulton, Gwinnett, Paulding and Rockdale Counties. Discounts are available on Specialty Service Options for Sovereign’s College Park Pest Control homeowners. Specialty Services include Mosquitoes, Flies, Stink Bugs, Bee Nest Removal, Fire Ants, Flea & Ticks Pet Service, Box Elder Bugs, Pantry Pests, and Cicada Killers. We provide quick, no-obligation quotes at no cost. Talk to a Sovereign Pest Control specialist today, and learn more about our College Park Pest Control and exterminating services that include a 100% money back guarantee. Refer your friends, family and neighbors and save on your service. Ask about the $50 discount off yearly service for every referral that becomes a service plan customer. All you have to do is submit the information on the referral form.